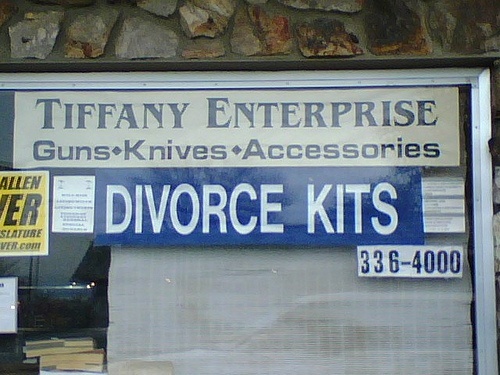 Question: Why pay thousands of dollars to a divorce lawyer to handle your divorce case in New Jersey when you can do it yourself with a pre-printed kit? Answer: Because it will most likely be well worth it. Divorce is a serious process that can have lifelong implications-on you, your spouse, and your children. Attempting to settle complicated issues with a "fill in the blank" form just doesn't make sense. People often ask me if they can handle their divorce matter themselves. I always respond by saying, "Yes, you can, but let me tell you first the story of my 1968 Dodge Coronet." It was the winter of 1978. There was a record amount of snow on the streets of New Brunswick New Jersey where I was in my second year at Rutgers College. In those days, cars had radio antennas that stuck up from the front of the drivers door. There was so much snow and snow drifts were so high on the streets of New Brunswick that the cars were covered to the top of the roof. You simply couldn't see them! Several days after the snow has stopped, I decided to go out and try to first find my car and then try to start the engine. Walking down the streets behind the College Avenue gym I saw street after street lined with silhouettes of cars covered in snow. I couldn't tell which one was mine. Then, on a block where I thought I had parked my car, I saw about 6 inches of a radio antenna sticking up above the snow. I decided to see if this was my car and so I wiped away some snow. I saw that ugly green color and all of those dents and I knew right away that I had found "my baby" (it was nine years old, totally dented, but I loved it). Why am I telling you this? Because as a relatively impoverished second year college student I had no money for an auto mechanic, and when I turned the key, the car would not start. I decided that, since I had no money, and since I had the right to be my own auto mechanic if I wanted to, I would just take a trip to the local auto parts store. The parts manager told me that he thought that I needed a new carburetor. I bought the carburetor kit and carefully replaced my old carburetor, hose by hose, screw by screw. Everything looked great. I got into the car, put the key in the ignition, and turned the car on. It caught on fire, with me in it! The lesson that I learned was that, while I had a right to be my own auto mechanic, I knew nothing about auto mechanics and it should not have surprised me that my car blew up as result of my efforts. I think that a similar analogy holds true for most people who try to be their own divorce lawyer. While they have a legal right to do so, they should not be at all surprised to find out that their case has "blown up" as a result of trying to be a divorce lawyer. If you attempt a do-it-yourself divorce and problems arise later, there is a good chance that even the best family law attorney cannot fixed or correct them. Don’t fall into the trap, because the few dollars you try to save can end up costing you much more in the long run.